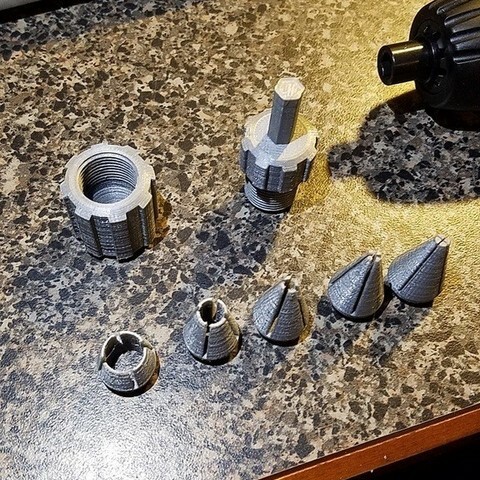 Here is a little drill bit holder I designed for small drill bits. 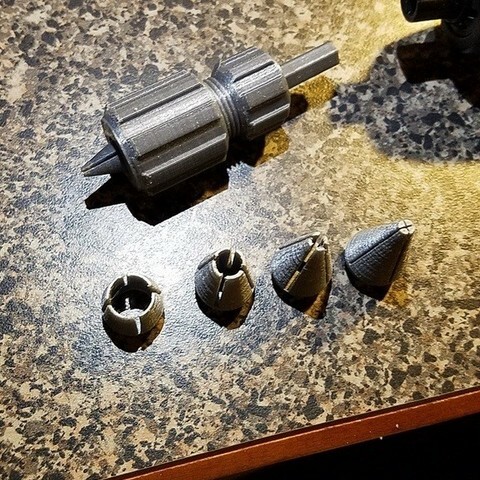 It has interchangeable collets for bit sizes 1/32, 1/16, 1/8, 1/4, and 3/8 (really just for fun, this bit size is probably too large for this tool). Each collet is labelled. There is a handle included for use as a manual drill bit holder. It fits nicely in my battery powered bit driver. 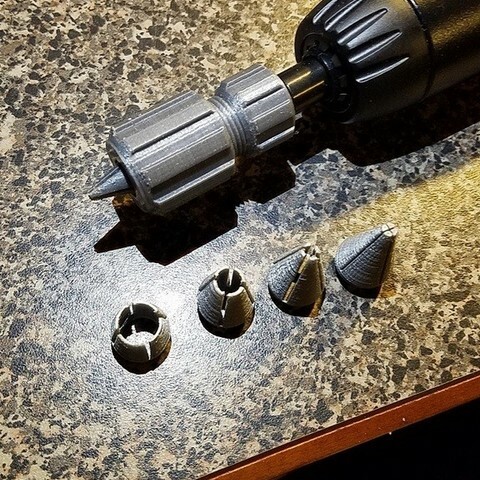 Simply find the collet that best fits your drill bit, and insert it into the holder and screw the parts together until it grips the drill bit. Then drill away to your hearts content. Just don't expect to drill in a high torque scenario. It is plastic, after all. Enjoy!